Dr Organic is a brand I am writing about or mentioning regularly. It is a large range now includes products with Coconut Oil, Moroccan Argan oil and Dead Sea Mineral. 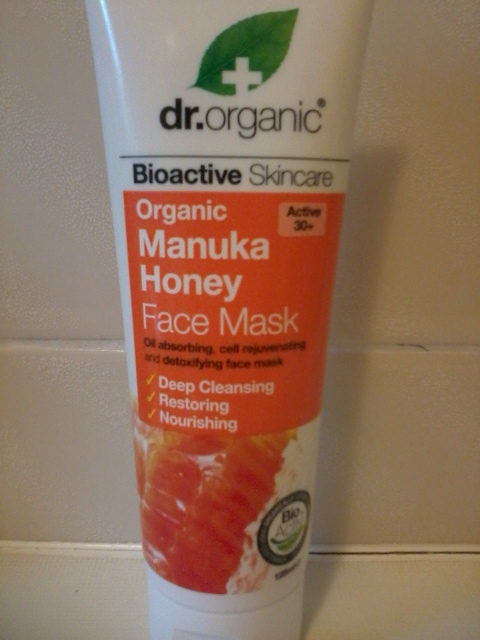 Last time Holland & Barrett had a promotional offer I picked up the Organic Manuka Honey Face Mask (active 30+). This one is not suitable for Vegans but there are other masks in the range for you to try. The active ingredients in this mask are Manuka Honey, Aloe Vera, China Clay, White Clay Mineral, Shea Butter, Cocoa Butter, Zinc Oxide, Vitamin E, Sunflower Seed and Glycerin. It claims to draw oil from pores, rid the skin of dead cells and stimulate circulation. I have experimented over the years with face masks but often find that the clay varieties are not suitable for my skin type. I took a leap of faith with this one and thankfully no drama unfolded. I can happily apply this without causing irritation. As the mask is clay based it is thick and you leave on for 10 minutes. As the mask dries out you feel your skin tighten. After the first use I did panic that this was too drying on my skin because once removed my skin felt too tight. However with a few more tries I have changed my mind. I basically have to judge when is best to use this product, hormonal outbreaks seem to be the key time for me. This is not a product I use weekly, for me I think a couple of times a month is sufficient. I have to trust the product is doing as it claims but my face does feel soft and looks brighter after the treatment. Even if it is not doing anything the fragrance is wonderful. It is super sweet from honey so may not be to everyone’s liking. I find the easiest way to remove the mask is with a damp muslin cloth. As I am not using this regularly the 125ml tube is lasting a long time. The price is £7.19 for a 125ml tube. Definitely watch out for H&B offers as they often have Buy One Get One Half Price or Penny Sales. Dr Organic is against animal testing. Products are suitable for Vegetarians and specific ranges are suitable for Vegans. Ingredients are free from parabens, SLS, artificial colours, fragrances and harsh preservatives. If you would like to see my other Dr Organic reviews check out these links - Manuka Face Scrub, Pomegrante Cream, Hand & Nail creams and Lavender Deodorant . I know several of my readers adore this brand but what about the rest of you? What have you tried? Just tried the Otto rose cleansing lotion- absolutely THE best cleanser ever. Thick, gentle, soothing, very efficient even with waterproof mascara.... 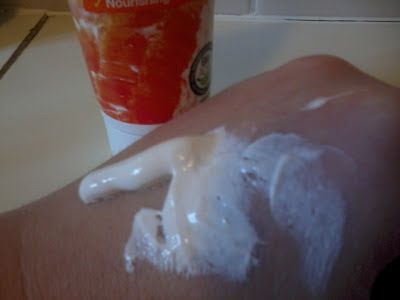 Didn't feel like using my usual moisturiser afterwards, it left my skin feeling soft, supple and nourished. Will defo explore the range further! This sounds really good for the price it is. Ive got so many face masks at the moment or I would purchase this!